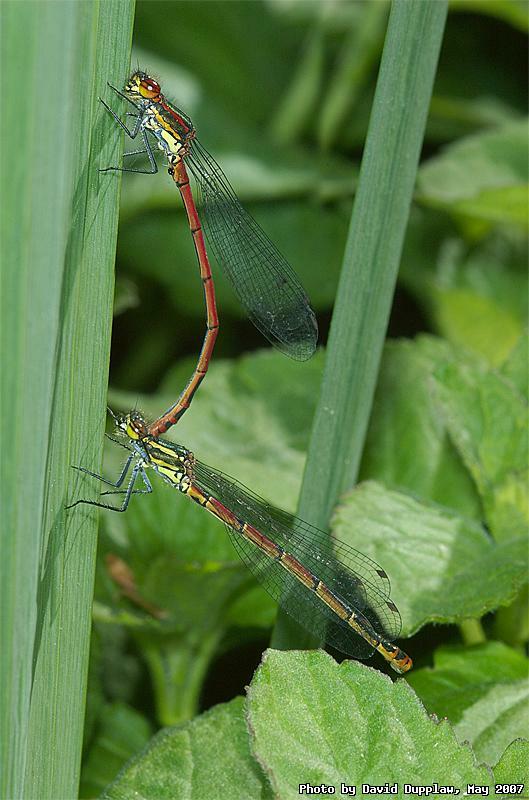 A couple of large red damselflies (Pyrrhosoma nymphula) mating. The male (on top) grabs the female with some grippers at the end of his abdomen. They fly in tandem while the female will lay eggs just under the water.